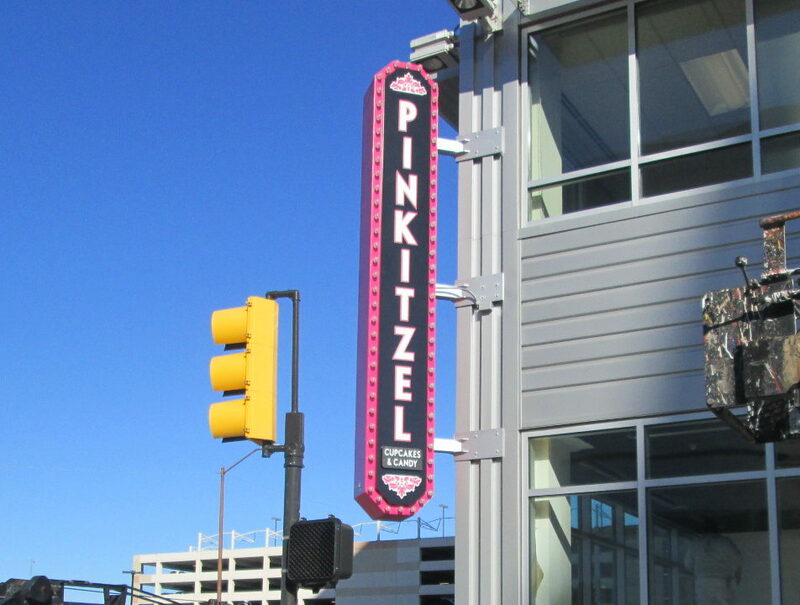 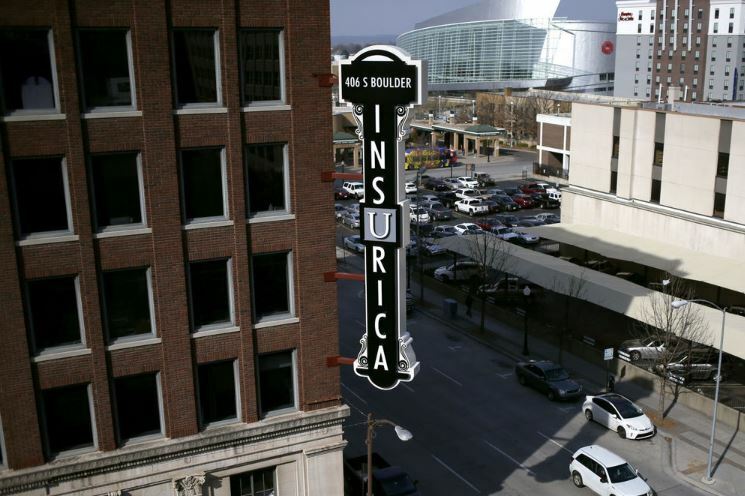 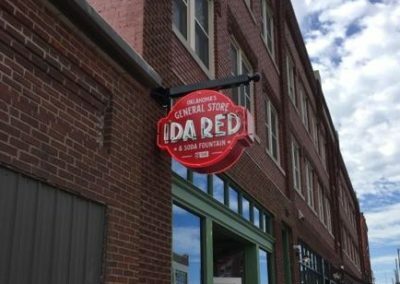 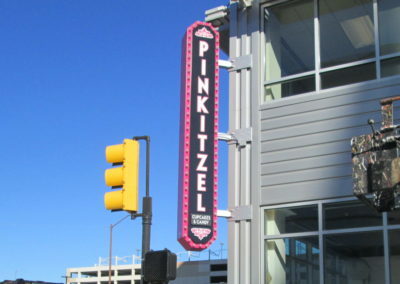 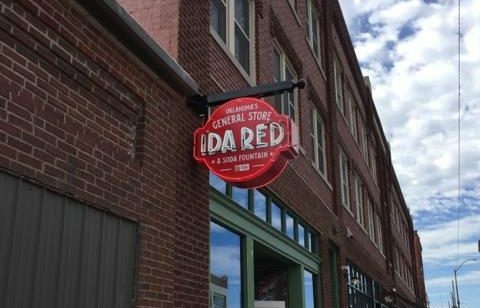 This type of signage is becoming a popular trend with the revitalization of many downtown areas. 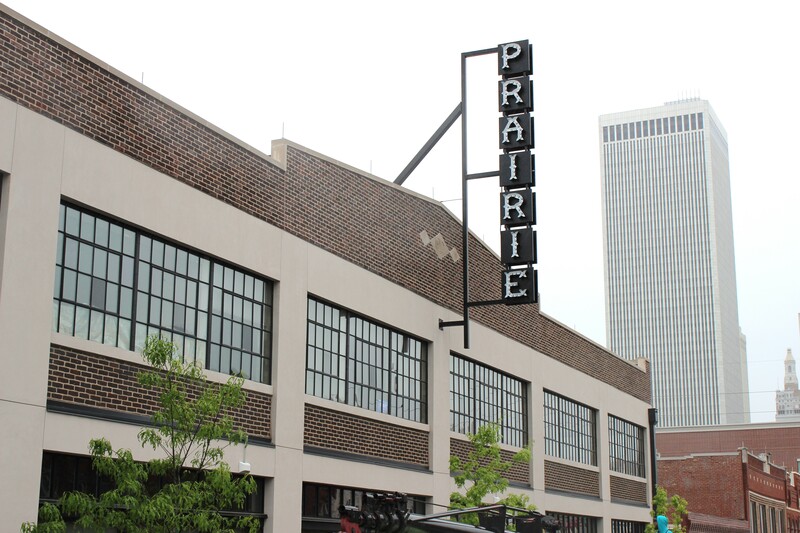 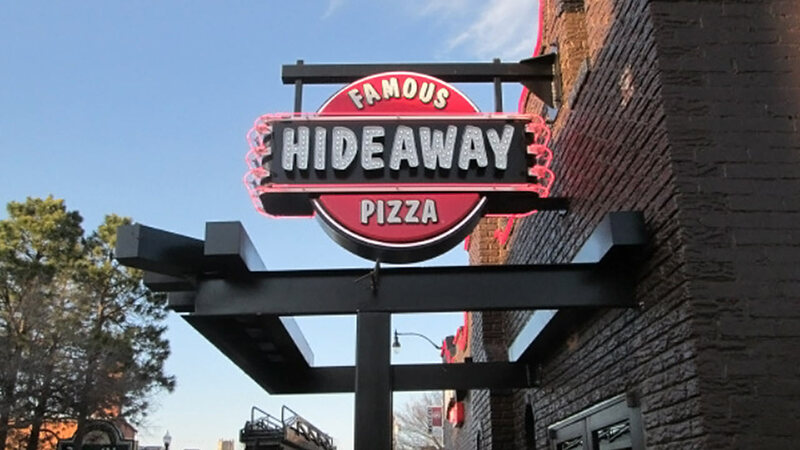 When you are in a downtown area, an area where your building is very close to the street, or if you just like the looks of a nostalgic or classic sign, the projecting blade sign may be the sign for you. 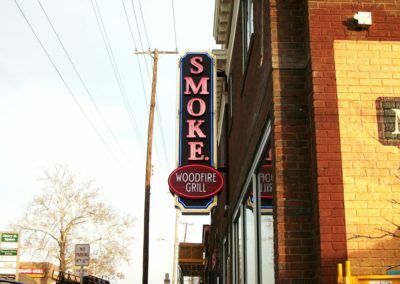 It is typically a double sided sign mounted on the side of your building. 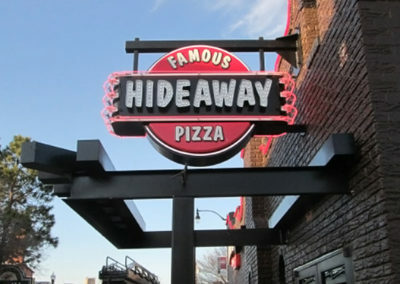 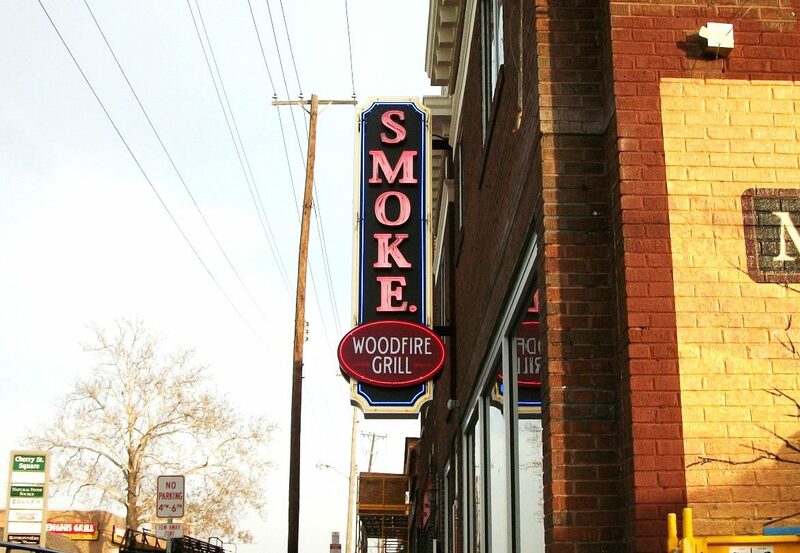 These signs can have any number of custom feature including: neon, bulbs, led, or any combination of the three.